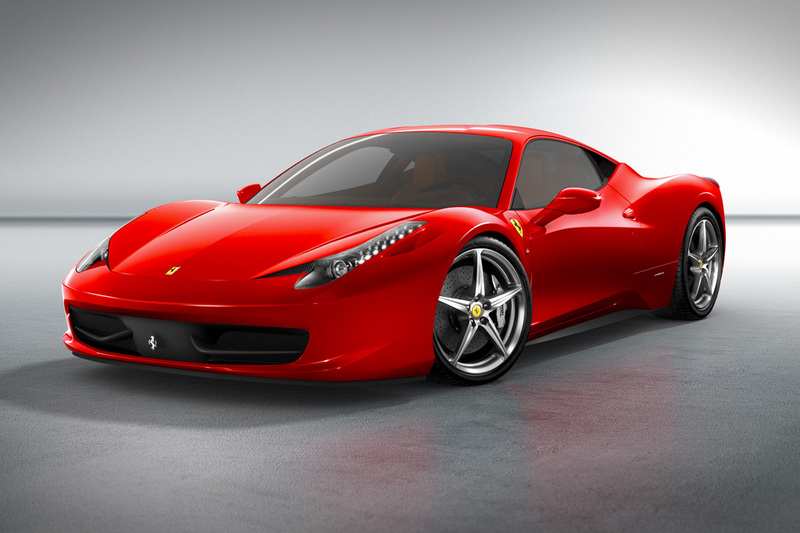 Launched for 2010, the Ferrari 458 Italia coupe replaced the departed F430 as the Italian automaker’s mid-engine V8 car. Sleekly aerodynamic, designed by the Pininfarina firm, the new coupe featured stretched-out headlights and triple exhaust outlets. 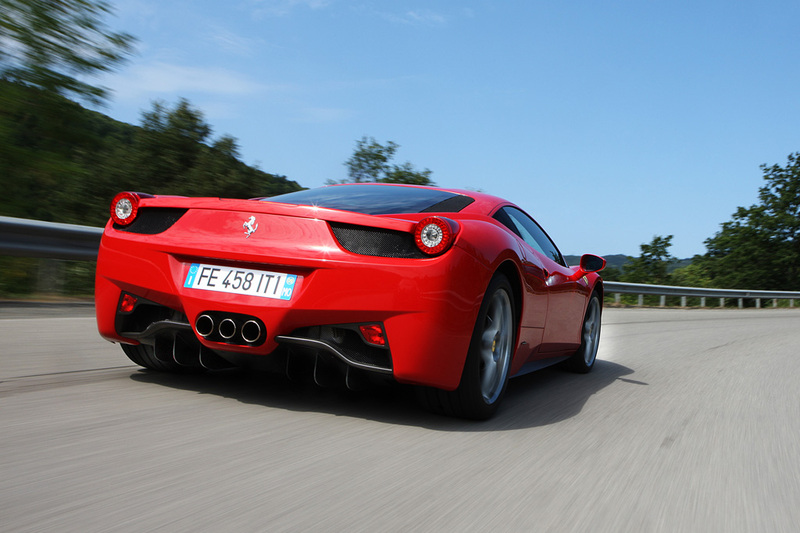 The 458 was powered by a mid-mounted 570-horsepower, 4.5-liter V8. 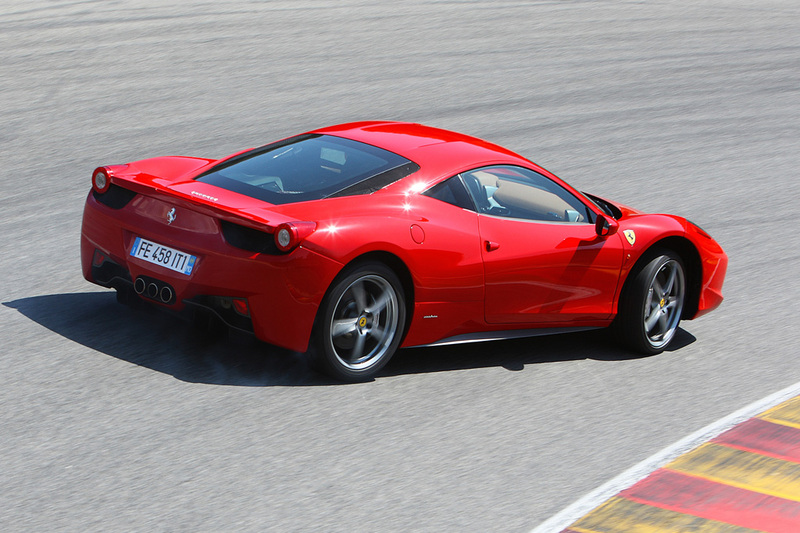 Ferrari claimed its output of 125 horsepower per liter was the highest to be found for a naturally-aspirated engine. A seven-speed, twin-clutch automated-manual transmission, which behaved much like an automatic, was the sole transmission. 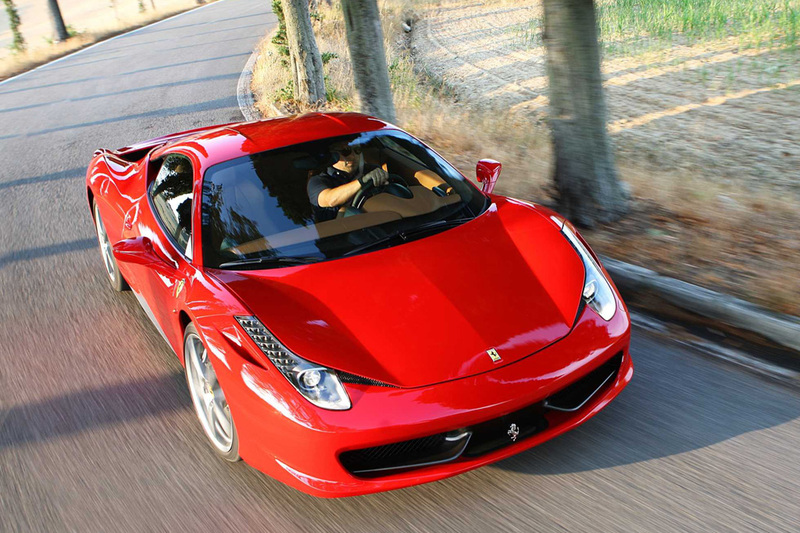 Ferrari claimed 0-62 mph acceleration in less than 3.4 seconds and a top speed of 202 mph. Weight distribution was 42/58 (front/rear). Safety features included antilock braking, traction control, an antiskid system, and side-airbags that covered the head and torso. Carbon-ceramic brakes were standard, along with 20-inch aluminum wheels. The steering-wheel stalks were replaced by steering-wheel-mounted buttons: for instance, the turn-signal controls were now on the steering wheel. Suspension and traction-control settings also were on the steering wheel, with positions for: Sport, Race, and Traction Control Off. Options included a carbon fiber trim package, Alcantara interior surfaces, and special racing-type seats. Other available features included a navigation system, rearview camera, front- and rear-obstacle detection, and fitted luggage in leather that matched the seats. Sticker price in 2010 was $230,675. 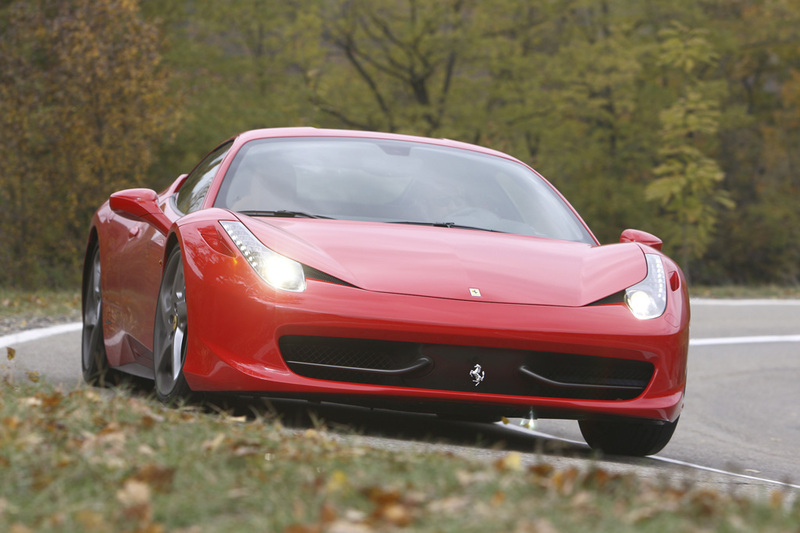 No significant changes were evident for the 2011 Ferrari 458 Italia. A Spider convertible joined the original coupe in the 2012 Ferrari 458 Italia lineup. Each 458 Italia held a 4.5-liter V8 engine that produced 570 horsepower, mating with a seven-speed automated-manual transmission. No Ferrari 458 Italia models have been made available for Consumer Guide evaluation. Carbon-fiber interior trim, carbon-fiber steering wheel w/LED lighting.